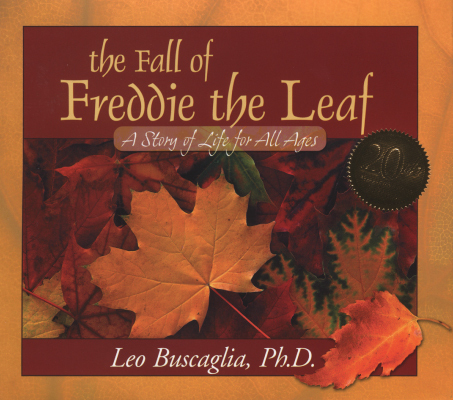 Leo Buscaglia challenges special educators and health professionals to become more aware of the desperate needs that disabled persons and their families have for competent, reality-based guidance, and the resultant tragedy that occurs when their needs are ignored. 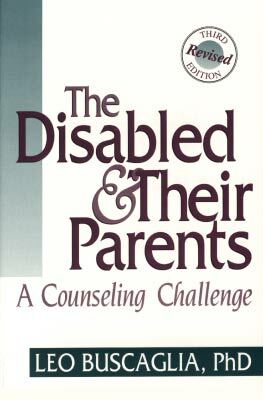 The book stresses that the ultimate goal of counseling the disabled is to help them attain the greatest of all human challenges -- self-actualization. Learn more about occupational therapy, physical therapy and nursing books published by SLACK Incorporated. 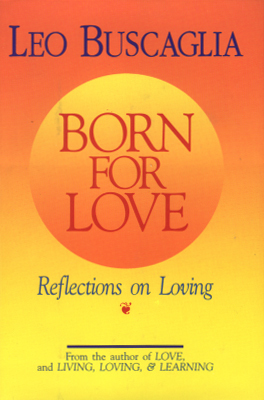 Born for Love is a collection of thoughts intended to stimulate the student of love toward a better comprehension of the subtle art of loving. This book is structured so that each segment can be taken as an individual thought, without reading the whole book in chronological order. 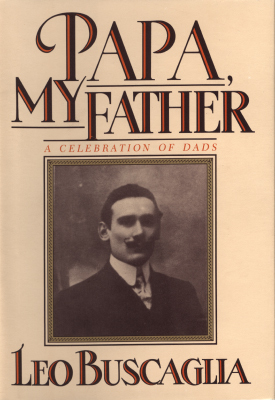 While relating specific events which he remembers about his own father, Leo Buscaglia has written this book "in celebration of all fathers." Readers are reminded that seemingly ordinary events can forever remind us of a cherished family member. This book reached #7 on the New York Times Best Seller list. His first book specifically for children shows the joy possible as a result of thinking of others. Discussion questions for young readers follow the story. 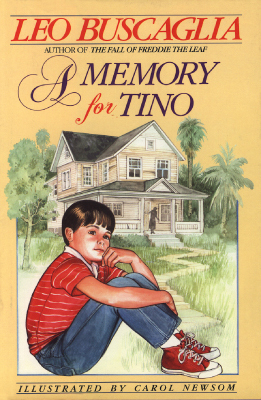 In 1996, A Memory for Tino was made into a movie sponsored by the Felice Foundation for free distribution to schools for purposes of teaching children the joy of giving. Film adaptation available from GPN. This holiday classic contains personal stories based on Christmas memories. 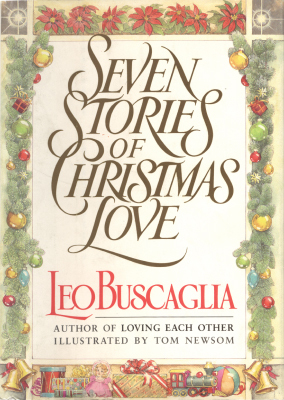 Five of the stories appeared originally in Woman's Day magazine, which initiated a tradition of printing an annual Buscaglia Christmas story during most of the 1980s. Can you take a bus to paradise? Probably not, because "this undiscovered territory has no common destination." 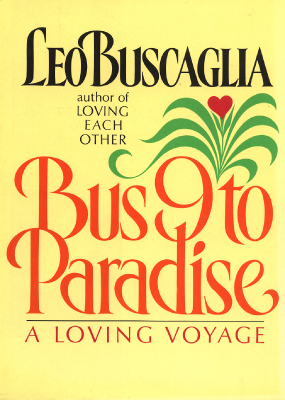 Leo Buscaglia explores the premise that "life is paradise for those who love many things with a passion." The inspiration for this book came from Leo's syndicated newspaper column where many of these topics were first explored. 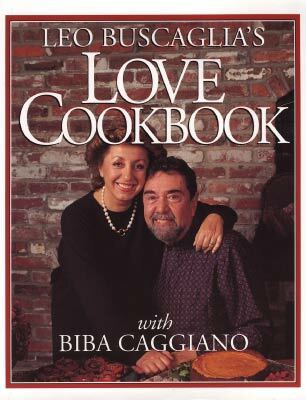 Leo Buscaglia's Love Cookbook with Biba Caggiano is a celebration of life and the food that sustains it. Each of the three sections-Recipes for Lovers, Friends, and Family-includes a variety of courses for every meal, from starters to desserts, as well as warm caring memories and thoughts from Dr. Buscaglia. Leo Buscaglia deals with the dynamics of human relationships and our fears of commitment. He points out that society's flippant and suspicious attitudes toward tenderness, compassion, caring, sharing and love, has created detached, apathetic people. The book contains the results of an extensive relationship survey. An examination of the delicate phenomenon of human love as the one unifying force of life. The author identifies barriers of love and suggests means of overcoming them. 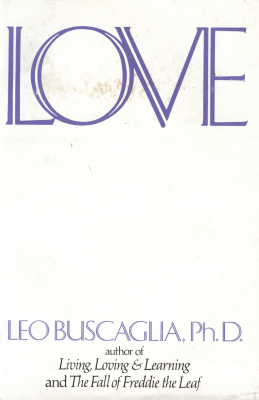 This book was inspired by Leo Buscaglia's ground-breaking Love Class at the University of Southern California. 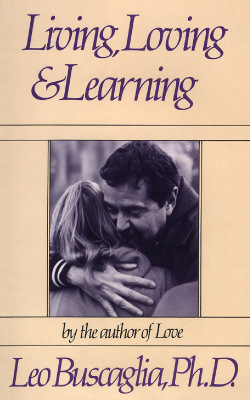 Living Loving and Learning is a delightful collection of Leo Buscaglia's informative and amusing lectures, which were delivered worldwide between 1970 and 1981. Parts of them have appeared in books and magazine articles, but this is the only complete collection. 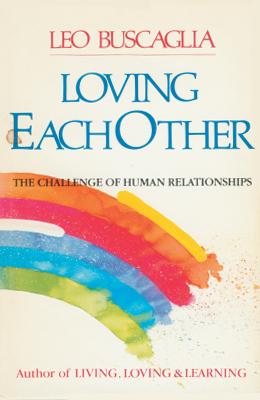 In this book, Leo Buscaglia attempts to offer an historic view of the ethical principles that have guided our humanity. He believes that everyone is responsible through their own uniqueness for completing a portion of a vast universal canvas. Full actualization of the world, therefore, depends on one's self-actualization. Consequently, the greatest challenge to all people is to work at being fully human. This book reveals the truth of self Leo Buscaglia has discovered on two trips to Asia by traveling the "way of the bull," as well as describing the people and physical locales of Southeast Asia prior to the Vietnam War. The meaning of the title originated in the 12th century Zen book, 10 Bulls by Chinese Zen master Kakuan. 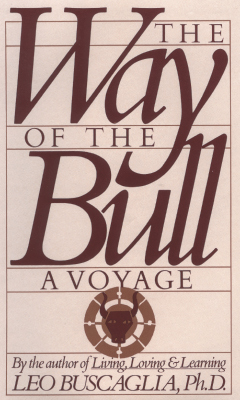 In this book the bull represents life, energy, truth and action. "The way" concerns the possible step one man might take to gain insight, find oneself and discover one's true nature. Leo reminds us, however, that each person must find that path individually in order for it to have true meaning. A tender photo-essay capturing the author's feelings about life as seen through the eyes of a sensitive four-year-old child. 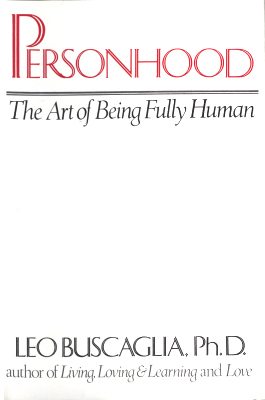 The book expresses some of the joyous elements of living that we experience because we are human. 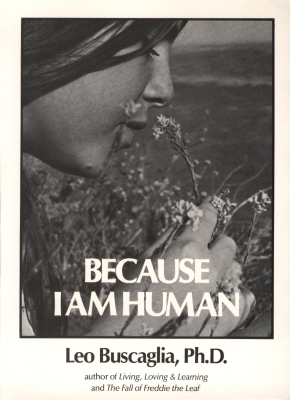 Bruce Ferguson, a former student of Leo Buscaglia's from Whittier, California, photographically complements the message of life expressed in this book.